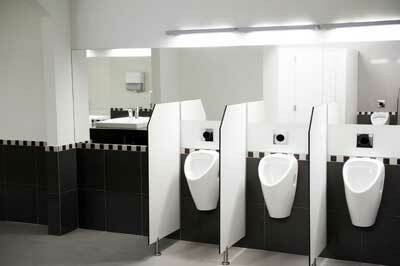 Texas businesses have better sustainable restroom products at their fingertips. It is amazing how much upkeep a commercial building requires. Many managers of Texas buildings are working toward sustainability, and there is still a way to go before they experience the full benefit. The issue is the focus. The reason why so many facility managers are so far from achieving the benefits of sustainability is that they are too focused on one aspect of sustainable restroom products. Sometimes that aspect is the cost. Of course, managers are on the right track when investing in dispensers, hand dryers, and paper products that are made from recycled paper. However, all of this is just one side of the equation. It must balance out. The only way that is going to happen is to complete the other side of the equation by investing in sustainable restroom products that meet the unique needs of the facility. By making sure your facility uses the products that fit the requirements of its guests, clients, and customers, you are taking one giant step toward successful sustainability. A good place to start is by looking at the janitorial staff members and what they need to do their jobs more efficiently. This can help prevent staff from becoming overworked. If you wish to achieve better sustainability, better efficiency, and a different bathroom environment, our team at hybridH2O can help you. With our sustainable restroom products available to Texas businesses, you can improve your environmental impact and have a positive impact on your business.